For Passover, my family always has macaroons. This is the traditional dessert for many celebrating the holiday,as these tasty cookies do not require flour, which is forbidden over the eight day festival. This year, my mom brought her recipe as well as the four required ingredients, to my house and made these easy, and delicious, cookies with her delighted granddaughters. 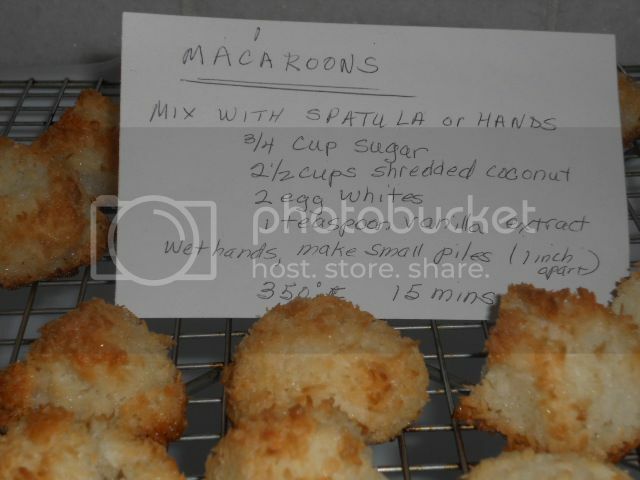 They were the best macaroons I had ever eaten, so Grandma kindly gave us her “secret” recipe so we could make them again. P.S. My mom’s secret recipe is actually Mark Bittman’s Ultimate Minimalist Macaroons. But shhh, don’t tell her I know the truth. Make A Matzoh House! Make A Mess! Make Memories! Passover will be here in just eight days!